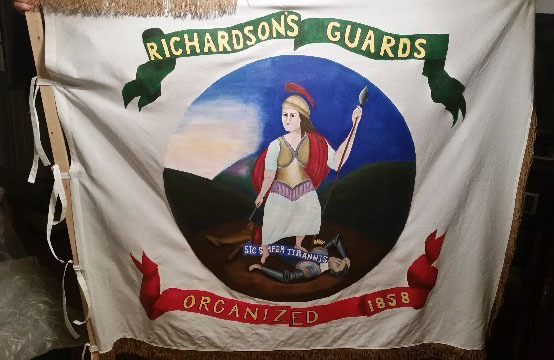 Since the formation of Company in 1993, an authentic impression of the Richardson Guards uniform is used at events when it is appropriate. 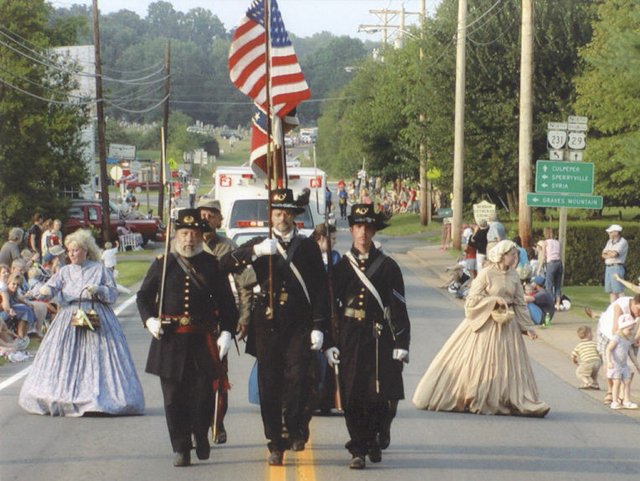 Usually, Civil War Reenacting follows the years 1861-1865 sequentially in a cycle. 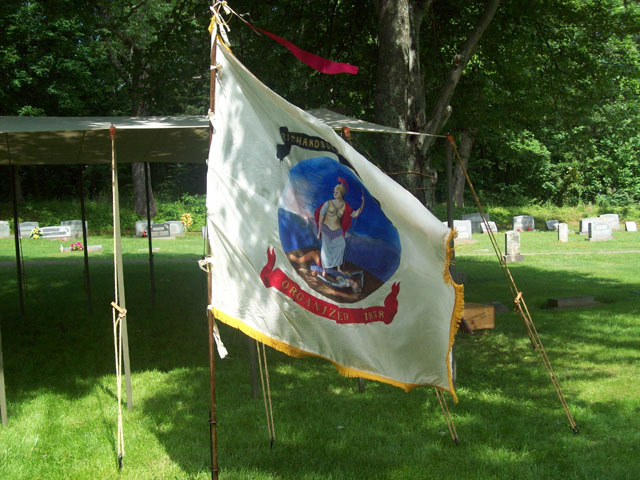 That cycle repeats every five years (so after '1865', the 1861 year begins again). 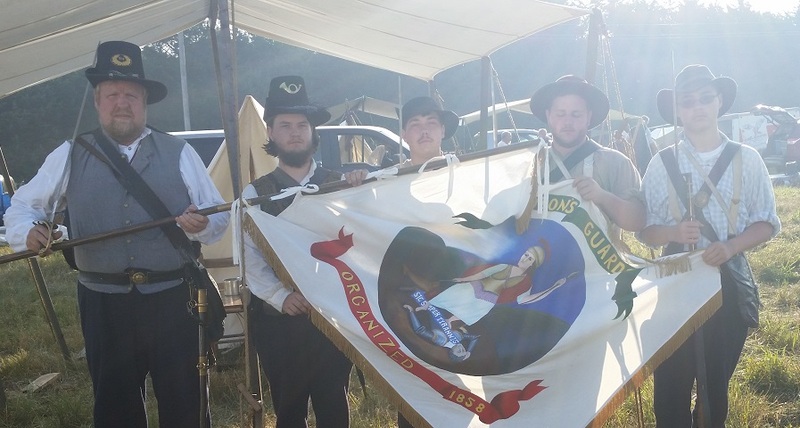 During an 1861 year, active company members will wear the militia uniform at appropriate events throughout that year. 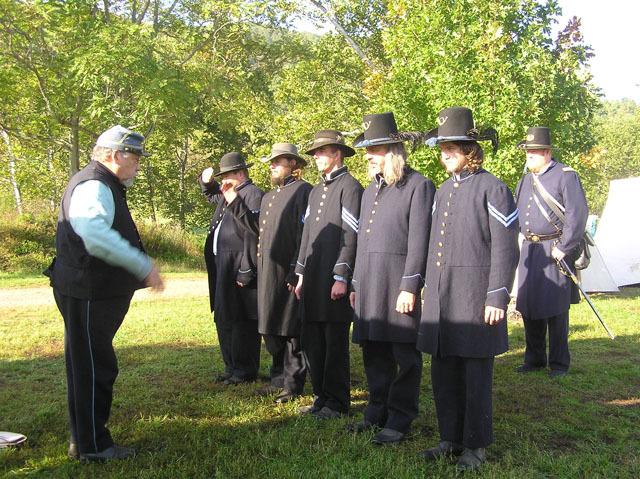 After new recruits successfully pass the probationary years and once they have obtained the basic Confederate Soldier (7th VA) impression, these new members are recommended to eventually purchase a militia uniform. 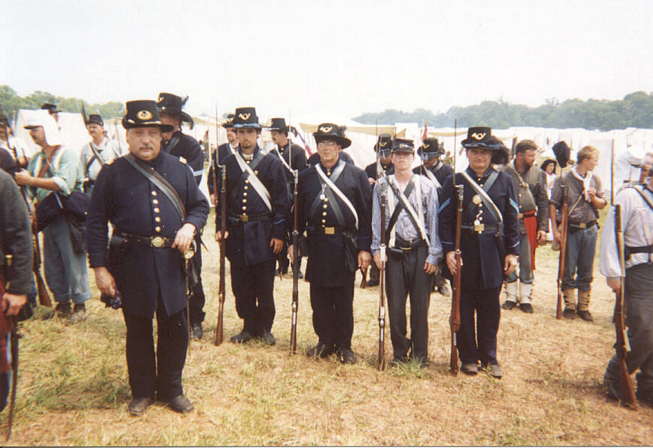 The militia uniform may still be utilized the remaining years at events on certain occasions. 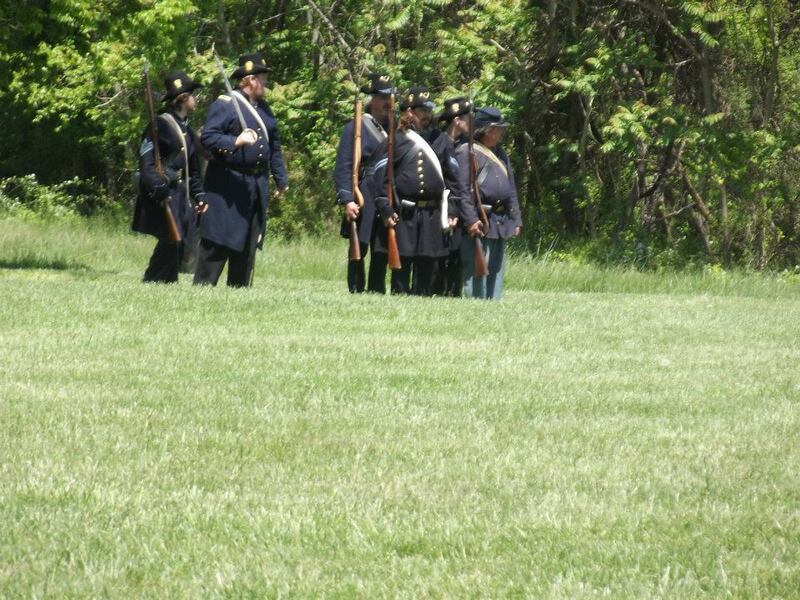 Specifically (and most likely), the uniform would be encouraged at living history displays and activities. 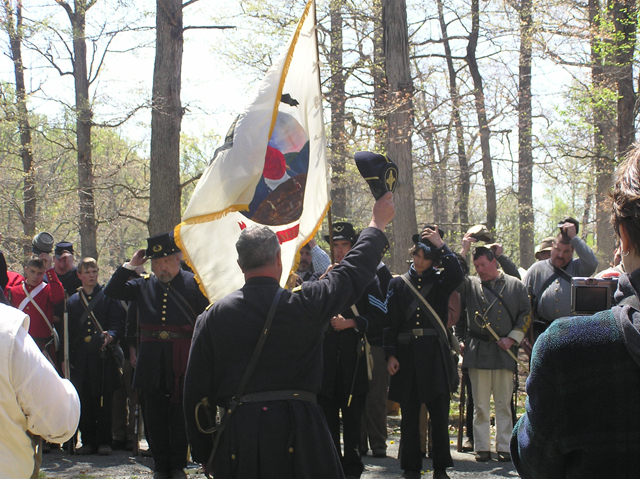 One consequence to this 'unique' blue uniform is that Company A is occasionally asked to galvanize (or portray) Federal troops at events when there is a shortage of Union reenactors. 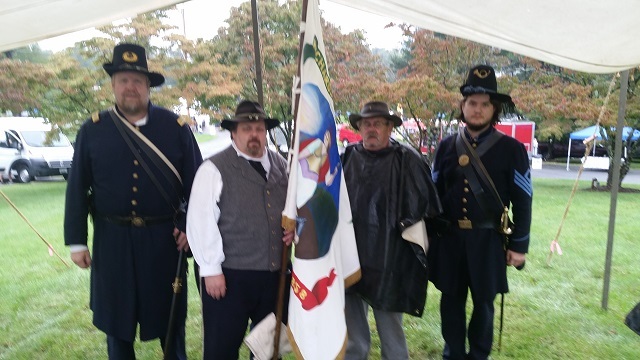 Although, it is highly recommended for new reenactors to eventually purchase a Union impression uniform set anyway (in some organizations it is required). 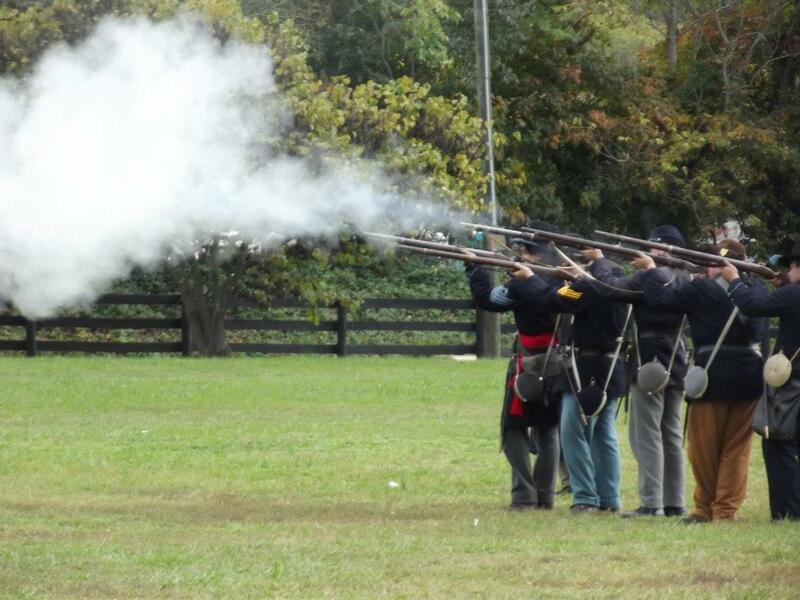 Below are some images throughout the company reenacting history since 1993.